Happy first birthday to this little sweetie! What better way to celebrate a birthday than with a sunflower cake smash? It is the perfect theme for a baby girl’s summer birthday! This gorgeous little lady’s momma wanted a colorful and unique session. She requested yellow and a tent for her cake set. If you know me at all, my first thought was to go with flowers! I love how twelve month old are all about the clapping and waving! This sweet girl did not disappoint with the gestures. So adorable! 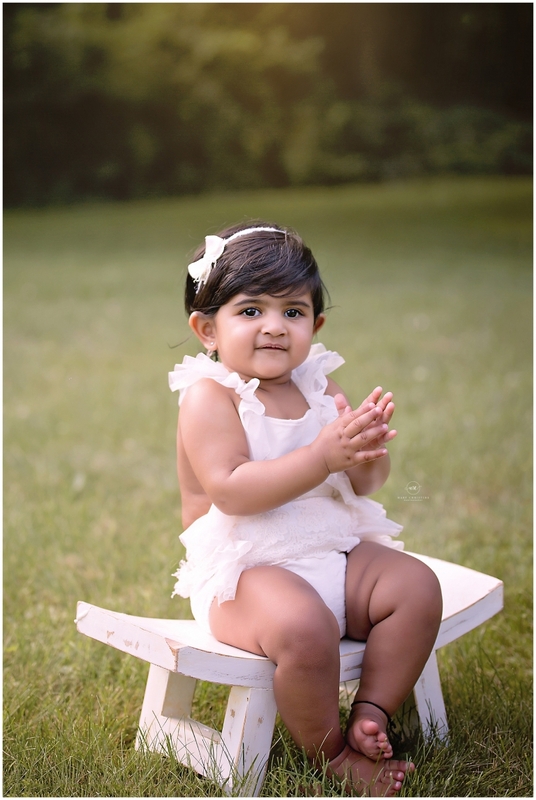 This outfit and wooden bench is from Baby Bliss Props, my favorite! Oh the sweetness! Babies change and grow so quickly! I love capturing the little details and personalities because in a blink of an eye it changes! We often forget too quickly what they were doing when and these helps us remember. I mean, just look at those rolls on the bottom right. Baby rolls never get old! Never!! If you are happy and you know it clap your hands. 😉 Who is ready for a sunflower cake smash?? How gorgeous is this cake from A Cupcake A Day in Medina, Ohio? The sunflowers are absolutely perfection! Shawna is my go to girl for all things cake! There’s nothing more traditional and timeless than balloons for a birthday. Her momma wanted this for her first birthday invitations and I love how it turned out. Definitely my favorite! Thank you so much for stopping by the blog! 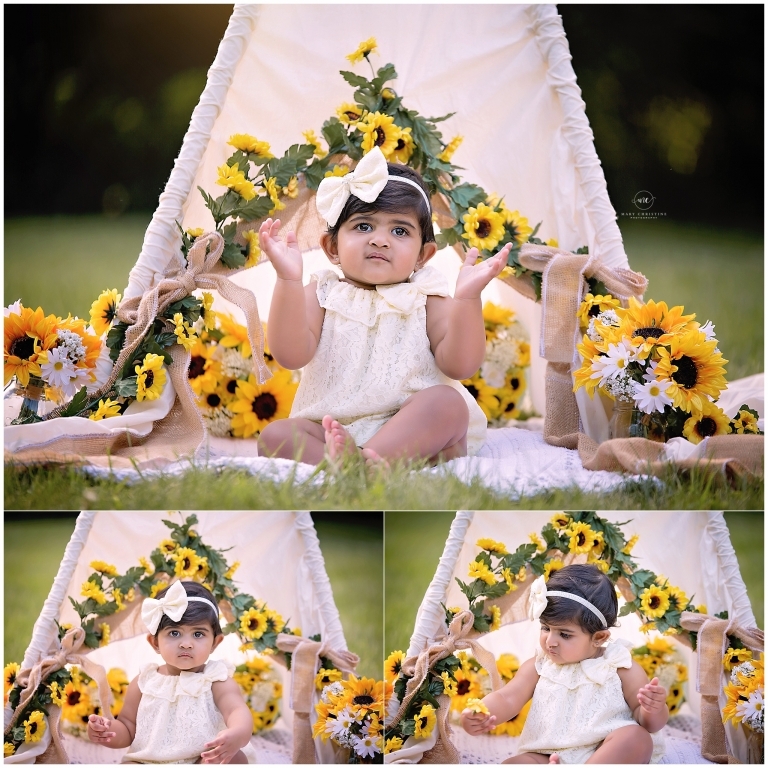 Is your little one celebrating a first birthday soon and are looking for a cake smash photography session? Please check out other cake smash sessions on the blog. If you love what you see, please contact me for more information and for scheduling. You may also find it helpful to see what others are saying about their experience.